High-profile attorney Nathan Prince forms his own firm, the Law Office of Nathan Prince. I want to ensure I continue delivering the highest-quality legal representation possible, resulting in numerous not guilty verdicts. Now that he’s on his own, Prince has the ability to also be more selective about the cases he takes on because the overhead is far lower. Additionally, having a smaller caseload means being able to thoroughly dedicate himself to individual client needs. Prior to private practice and being the lead trial attorney at his former law firm, Prince served at the state attorney’s office as a senior state prosecutor in the major crimes division. During his tenure, Prince took on many complicated and serious cases, including charges for murder, kidnapping, narcotics trafficking and armed robbery. Prince adds that his goals for the new firm, which also has a new website (http://www.nateprincelaw.com), are centered on client satisfaction and case results, and a desire to be the most accessible attorney in northwest Florida. “I want to ensure I continue delivering the highest-quality legal representation possible, resulting in numerous not guilty verdicts,” said Prince. 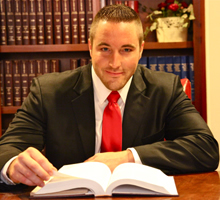 Nathan Prince has successfully handled thousands of trial and appellate cases. He is licensed to practice in all Florida State Courts and in Northern District of Florida Federal Court. The Law Office of Nathan Prince focuses on criminal defense and personal injury. For more information, please call (850) 601-5690. The law office is located at 215 Delta Court, Suite 6, Tallahassee, FL 32303.